I have to admit that dressing for actual seasons this past year has been really fun, challenging at times for this Florida girl, but fun. This past week in Florence, the weather has been all over the place. It is so weird to me that you can leave your house in the morning and it is one temperature, but then you leave work for lunch that same day and it's actually colder! Or just yesterday, this thick and cold fog rolled into the city around 4 pm. It is crazy how quickly the weather can change here. Thank goodness for blanket scarfs! Love or hate the trend, I have become completely addicted. They are so useful for unpredictable weather, I always keep one in my bag just in case. They are also amazing for travel in general since they can actually double as a blanket. 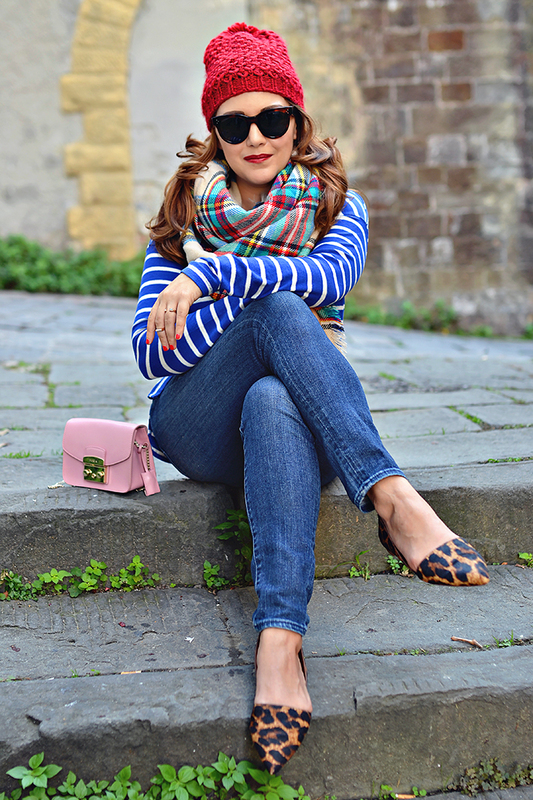 I also love this comfy blue stripped tee from J.Crew. 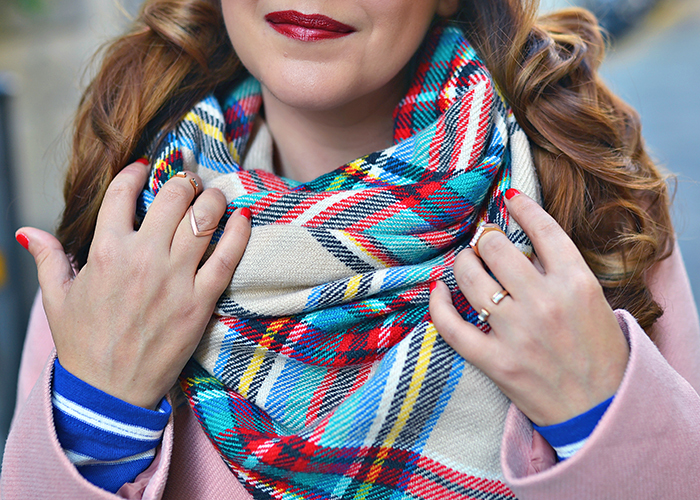 Stripe tops are super versatile wardrobe staples, and I love to mix them with all sorts of patterns, like plaid and leopard. I honestly can't believe I have lived in Florence for almost a year. It seems surreal, like I just got here. It is crazy how quickly time can fly. 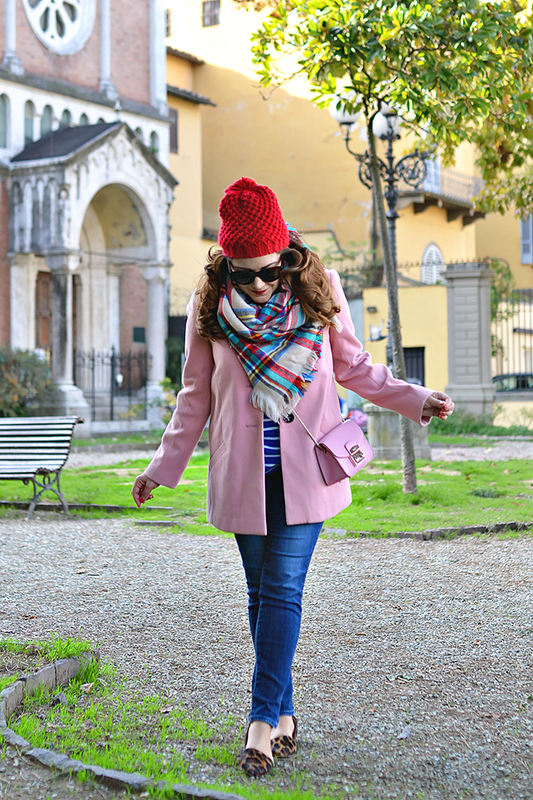 While I am happy to be going home for a bit (I will be back to Florence to work this summer), I can honestly say I am going to miss dressing for seasons and bundling up!